Currently smartphones have become a special part of our life. Without a smartphone, we can not live a day. Our routines are dependent on the smartphone itself. We all save our important data on smartphone. We believe that our data in the smartphone is extremely secure, while in many cases it may be harmful to maintain data in the phone. One of these situations is whether the phone is lost or stolen. The most risk in the case of a smartphone being stolen or lost is that there is no misuse of personal data in your phone. However, users can track the stolen smartphone’s location. There is a built-in anti-theft app available in iOS Devices. Its name is Find my iPhone. It works with your iCloud account. You have to go to icloud.com for this. From here you can send a message to your phone. You can also lock the phone. Apart from this, you can delete the entire data of the phone. However, it is mandatory to use location services in the phone to use it. On the other hand, if you do not want to use this feature then you can also use the third party app. These include apps like Secureit or iLostfinder. However, these are paid apps. Blackberry Protect is an Antitheat Solution that works with your Blackberry account. Through this, you can track your lost or stolen phone. You can also lock and disassemble as well. One advantage of this is that the service automatically backs up your contacts and other data. Through this service you can manage up to 7 BlackBerry devices simultaneously. Windows Phone also has its own separate tracking option. This allows users to view the location of their phones. For this, it is necessary to sign in by using the window live id on their device. To sign in, go to account.microsoft.com/devices. After this, login the window live id. Enter the same ID which you use in your phone. After this you can see the phone’s location. Also, ringing or locking on the phone can work as well. Apart from this, it can also be done in the phone that they save your device location details after a few hours. 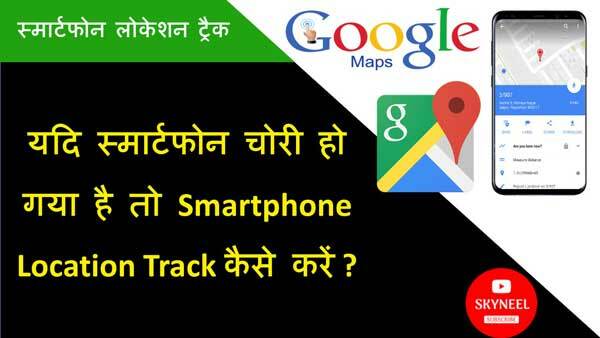 If you want to know how to track location on Android phone, click here. With this article you can track the stolen smartphone’s location. In this we can track locations of ios, blackburry and windows devices. If you liked this article then you can also like our Facebook page and subscribe to our YouTube channel too. If you have any problem related to this article, you can comment and tell us.